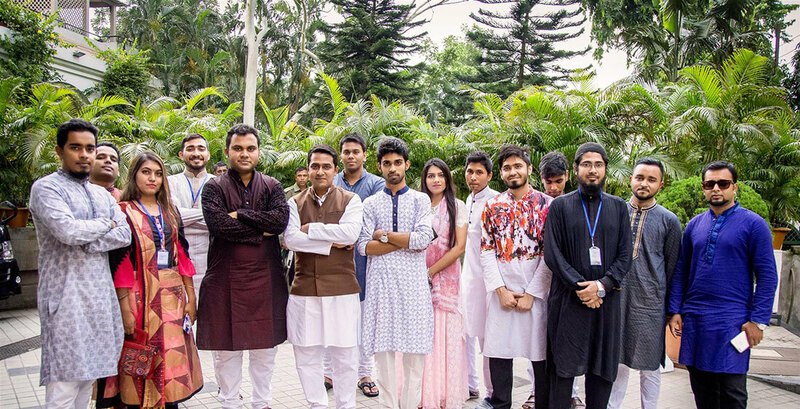 SEOPAGE1 initially started in Dhaka, Bangladesh in November 10, 2012. Our CEO, Mr. Rajat Chakraborty started the company and worked on projects single-handedly. Since then, SEOPage1 has provided employment to writers, SEO analysts, editors, design and development professionals, marketing professionals and account managers. Currently, our company in Dhaka has a content management and marketing team of 10 highly skilled professionals, a design and development team consisting of a few web designers, graphic designers and web developers, a marketing team of a few creative online, video and social media marketers, an HR Admin team to make sure all our processes and policies run smoothly and over 50 online freelance writers. We have been in the content writing business for the past seven years and have successfully completed over 3300 projects to date, and have hired around 700 freelance writers to work for us. We have strict requirements of aspiring writers, and emphasize originality and skill in writing coupled with a knowledge of SEO techniques. For every project we are entrusted with, we assign a capable writer to work on it and set a deadline for turn-around. Once the material is submitted, it is subject to quality checking by our managers, running them through Copyscape premium to check for any plagiarism, and verifying keyword usage. They also make sure that the client’s requirements are fulfilled, before turning them over to proofreaders who check for grammar issues and similar errors that need fixing. The material is finally submitted to the CEO for final checking, after which they are delivered to the client. If the client does not find the material satisfactory, we offer free revision and editing. We place a premium on our customer’s satisfaction and constantly seek to provide excellent service that will exceed our client’s expectations. “SEO Page1 was created with the initial goal to train promising writers in SEO writing strategies, thereby providing them with the necessary tools for earning an income in the competitive online market. Once we have accomplished this goal, we then went about offering our services to individuals and companies alike who needed content written for them. Whether content for their company websites or written publication, we have catered to our clients’ needs and slowly expanded our services to a growing client base who have given us their trust with their content needs. This is a great and invaluable opportunity for us to step up in this business of providing quality, professionally written content that brings in results that are measurable and profitable. Because our clients are our partners, the success of their company means a lot to us. Thus, we have made it our goal also to keep our client’s satisfaction at the foremost of our services. With our team of writers, researchers, proofreaders, managers and accountants, we have successfully maintained our company’s vision of providing excellent service through the years, and are looking forward to many more years in the business. Thank you, our trusted partners and clients for your continued patronage, and may you find our services always to your satisfaction. Please be assured that we are committed to providing the same high standards of service in delivering high quality, dynamic, and effective content for your business needs.